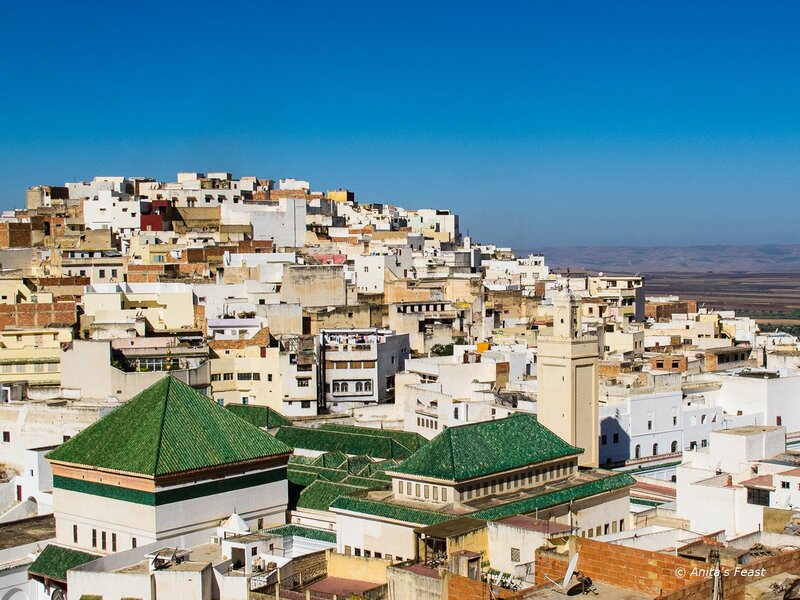 Moulay Idriss Zerhoune is just 70 kilometers from Fez but is a world apart. 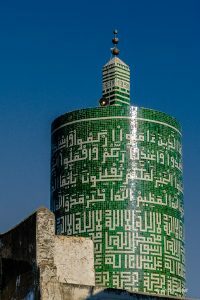 The little city’s founder, Moulay Idriss el Akhbar, was a great-grandson of the Prophet Mohammed, and the town is literally built around the shrine dedicated to the 8th-century ruler and his tomb. 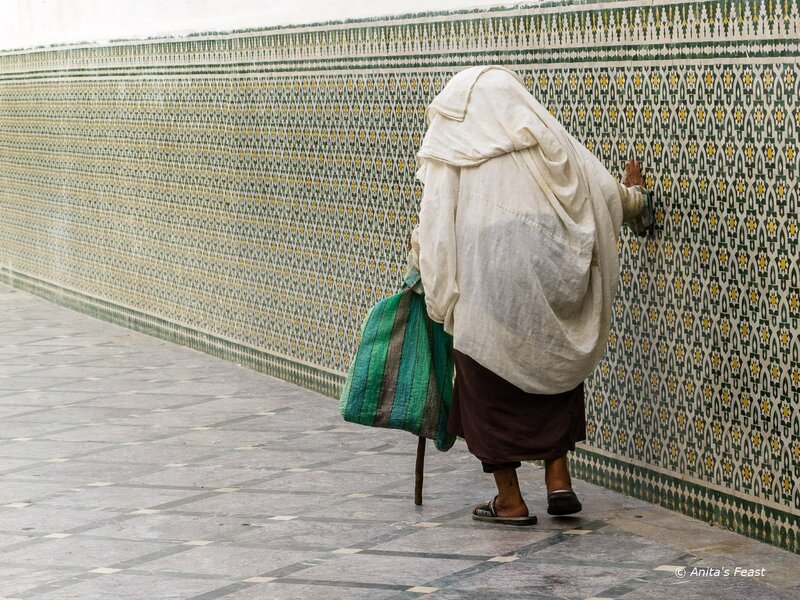 Moroccans hold Moulay Idriss second only to Mecca as a place of pilgrimage. Alas, the town’s main attraction is off-limits to non-Muslims, and this barrier bar is about as close as most tourists are likely to get. It’s splat in the middle of town, just off the main square, and gets a look-see every time you head up either of Moulay’s two steep hills. When the call to prayer sounds, there can be a river of the faithful headed into the shrine. At other times, the solitude of the corridor mirrors that of the town itself. 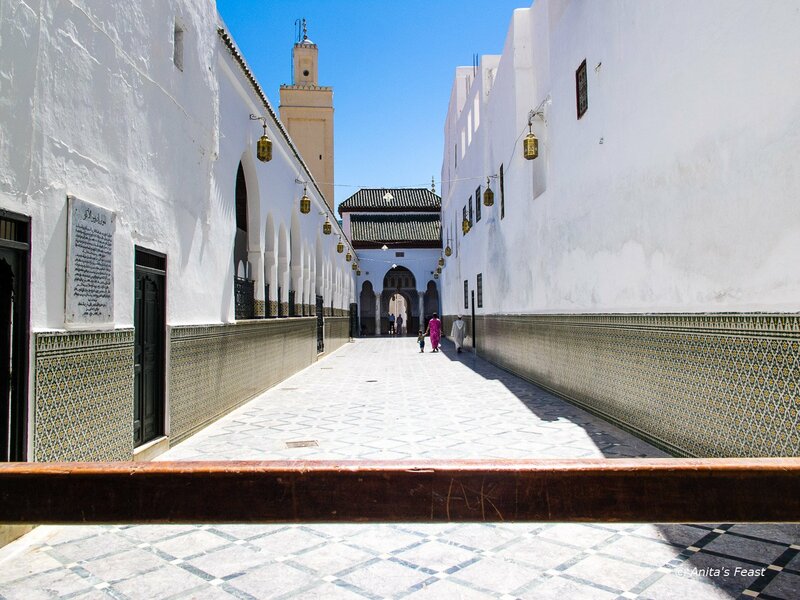 Each August, Moulay Idriss is transformed by an influx of pilgrims attending the annual moussem, or religious festival, honoring its founder. 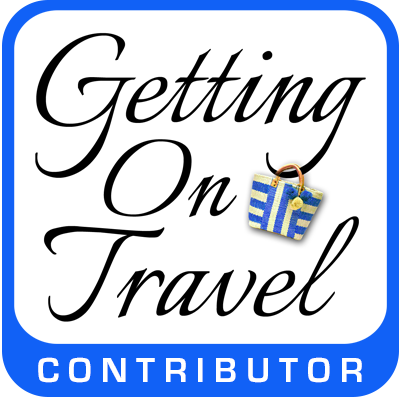 So what’s a non-pilgrim to do in Moulay? Well, for starters, the town center is lined with pleasantly arcaded shops. Stopping for a cold drink or mint tea at one of the outdoor cafes makes for good people watching. And the respite is especially welcome after a visit to Volubilis, Roman ruins situated on the plain just four kilometers away, or after a ramble up and down Moulay’s twin hills. Tired of square-topped minarets? The Idriss Medersa, built from Roman materials taken from Volubilis, sports an unusually modern, cylindrical minaret (from 1939) of green mosaic tiles, inscribed with a chapter from the Qur’an. When it comes time for dinner, tagine stands along the main drag offer outstanding value for money—and lots of local flavors, to boot. 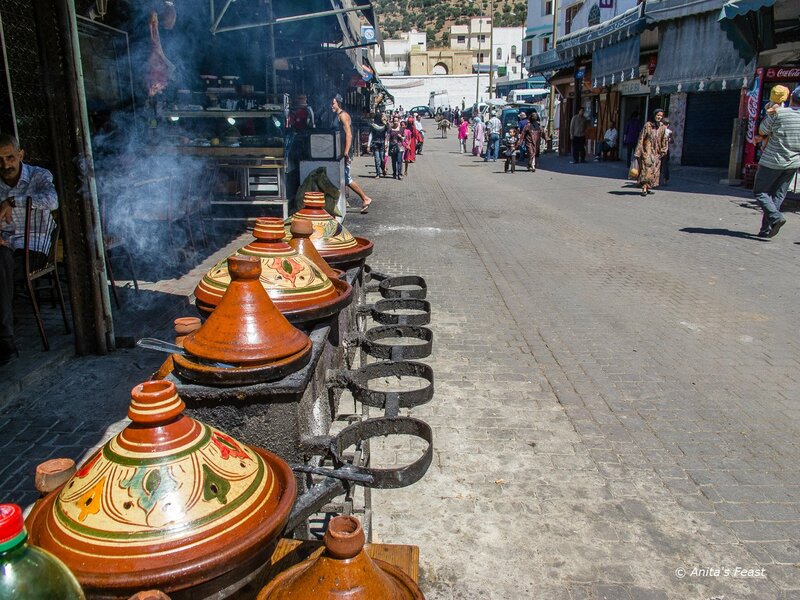 The terracotta pots filled with a variety of meat dishes are set out over charcoal around noon, and as they bubble the afternoon away, tantalize passersby with heady aromas. Savoring a street-side dinner offers a chance for more people-watching. 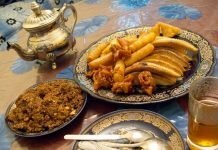 There may not be a booming restaurant scene in Moulay, but the food in the region definitely merits attention. Several local specialties are included in Clock Book, written by Tara Stevens for Fez’s Café Clock. 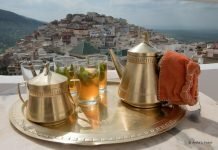 Moulay Idriss briouat, and honey, lemon and ginger roast chicken are two recipes I’m eager to try. 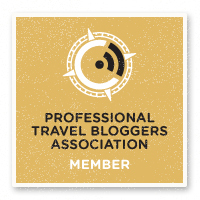 Plus, the olive oil produced hereabouts is considered by many to be the best in Morocco, and vineyards, less than an hour from Moulay, are the center of the country’s nascent viniculture industry. 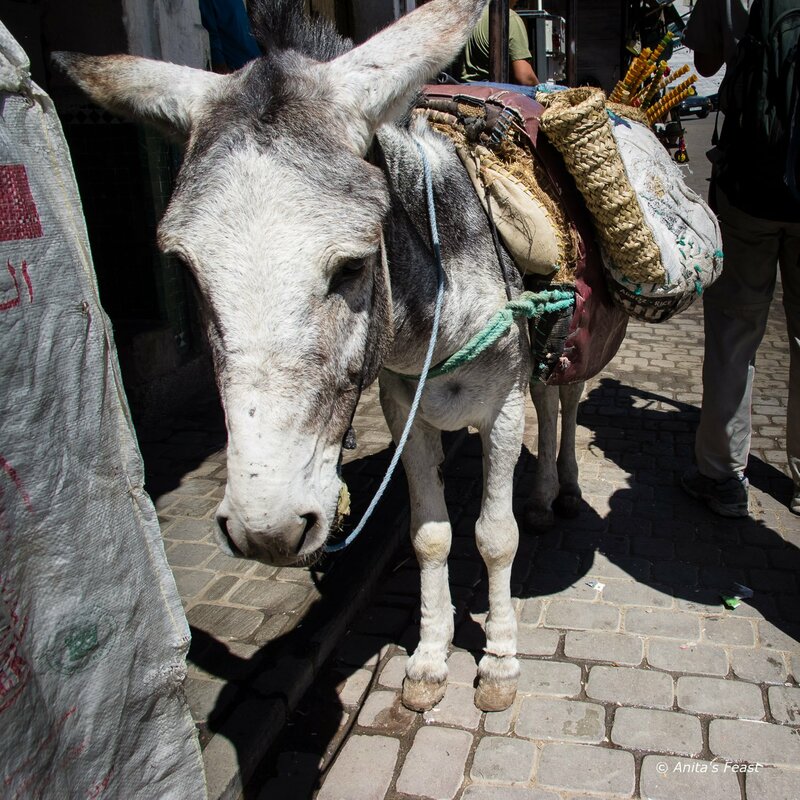 In Moulay Idriss, as in Fez, donkeys are delivery wagons and sometimes provide transport up and down the stair-cased streets—which must be climbed, to enjoy the famous panorama, and for an overnight stay. 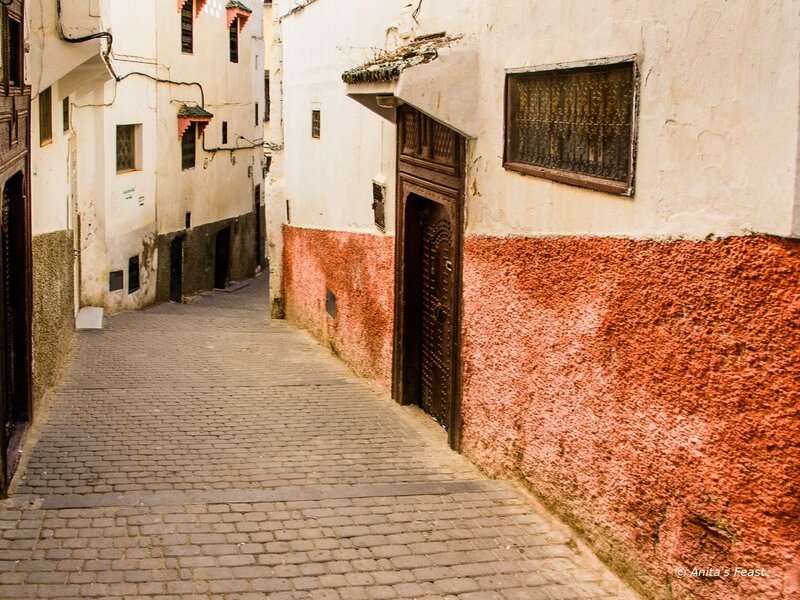 The town’s (all uphill) streets are clean, lined with white-washed buildings trimmed in red. 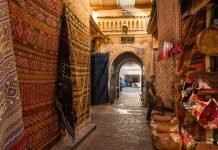 The place is quiet…as in QUIET, an inviting alternative to Meknes as an overnight getaway from the bustle of chaotic Fez. 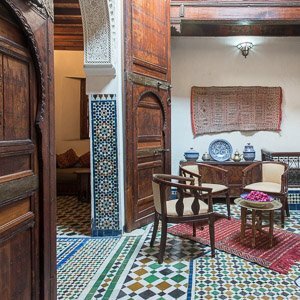 One guesthouse option is Dar Zerhoune, with four comfortable rooms and breakfast on a cheery rooftop terrace. I’m told the housekeeper there will guide a visitor to the local hammam on request, although I was not able to take advantage of this. 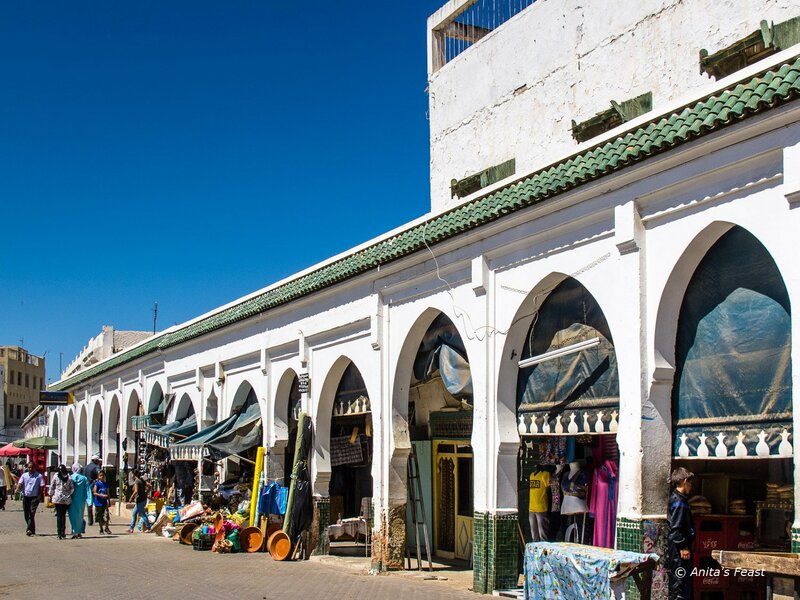 At present, there is just one way from Fez to Moulay Idriss via public transport, and that is through Meknes: first, it’s a train ride from Fez, then a Petit Taxi drive across town to catch a blue Grand Taxi for the half-hour journey through olive groves up to Moulay. 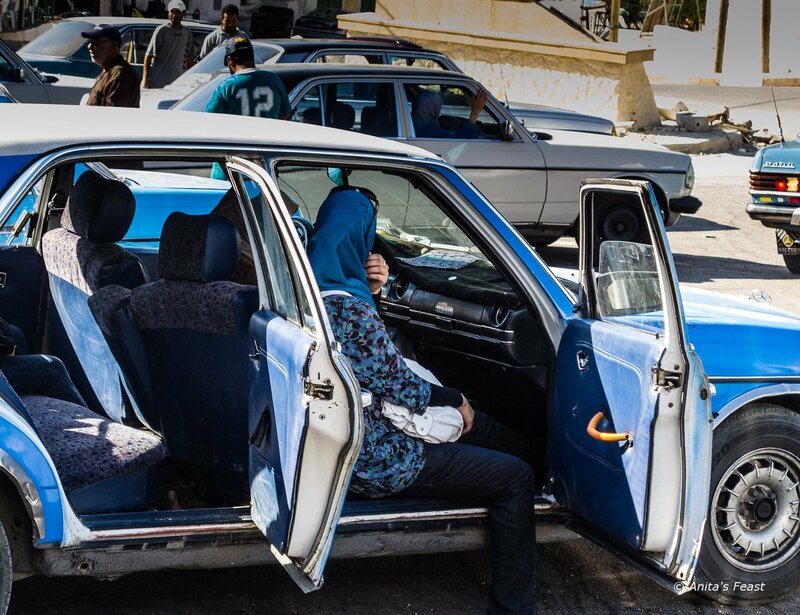 The taxis go when full, or when someone buys the remaining seats. Previous articleAugust got my goat!